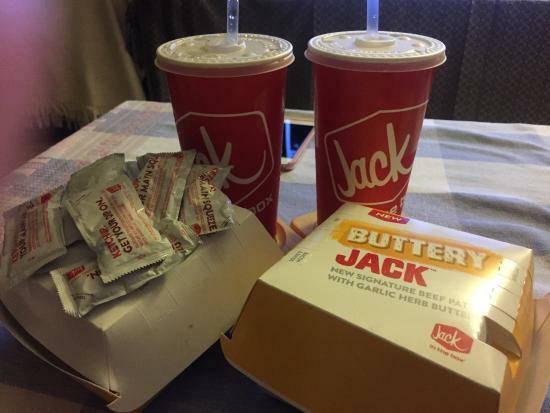 There aren't enough food, service, value or atmosphere ratings for Jack in the Box, California yet. Be one of the first to write a review! Very clean place, staff were very friendly and I actually saw smiles which you do not normally see from a fast food place. The food was good and delivered very fast. Very good food and ice cream shakes. The shakes were a little too thick but very good. Burgers and fries were very good. Must try if you have the opportunity. Prices are reasonable. Get quick answers from Jack in the Box staff and past visitors.